← Some changes ’round here. 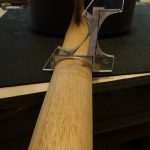 There are a infinite possibilities for shaping a guitar neck. 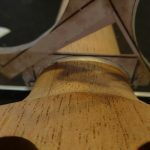 The luthier needs to work within constraints, making decisions about what is desirable and how to carve the neck to execute those decisions. For example, I am working on a guitar for a lady with smallish hands. Instead of a 650 mm scalelength with a 52 mm nut width, her guitar will have a 640 mm scalelength with a 50 mm nut. The drawings above represent quite a few decisions that need to be made before the knife hits the wood. 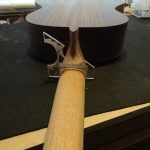 How thick will the neck be down by the nut and first fret? What shape will the neck be? Guitarists sometimes have very specific requirements. Neck shapes are often described as a C shape or a D shape (and sometimes U shape or for steel string guitars, V shape). Infinite variations! 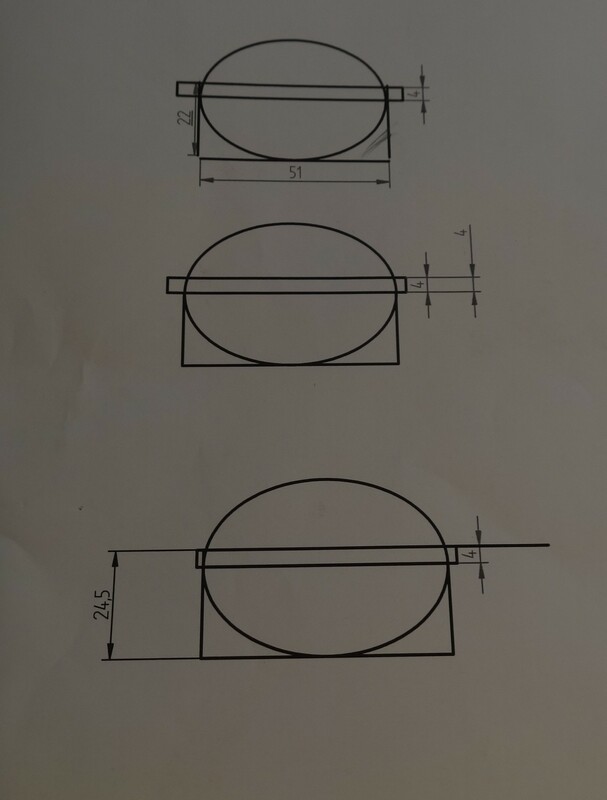 I have had customers ask for each of those shapes, (except the v) and then I have to find out what they really mean! 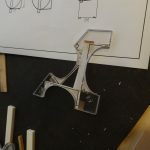 Just like in fonts, a U shape can have many implementations and variations. So if a player can provide me with a profile that’s good. My default profile is an ellipse, because it is replicable, and most players like it. 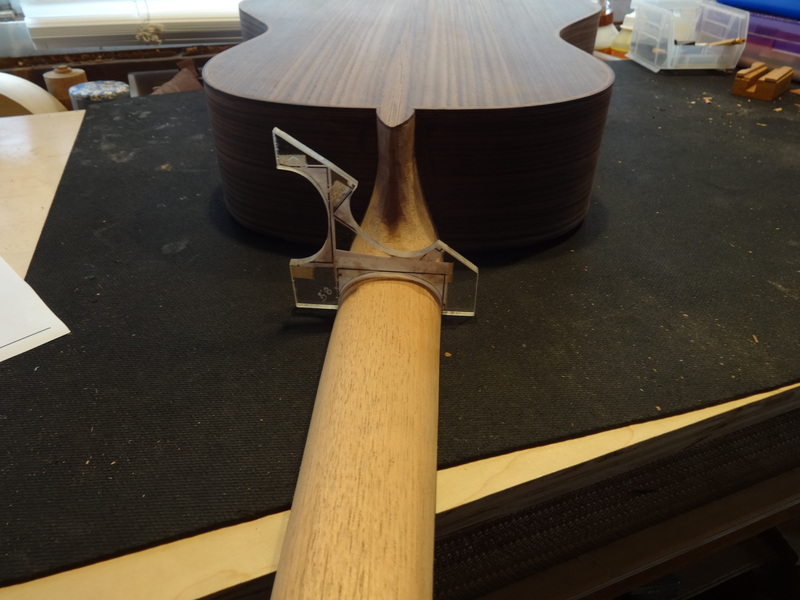 In the case where the thickness of the neck is half the width, the result is a perfect half circle. That relationship is rare. More often as in this case, the thickness is smaller. So decisions have to be made. Once the decisions are made the drawing can be made and then printed on paper. 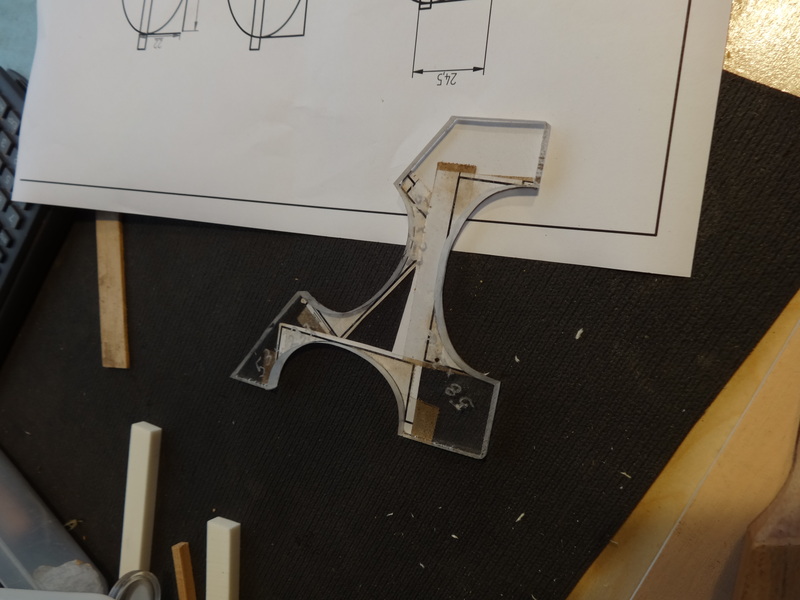 Then the printed paper is attached to some template material (in this case, plexiglas). 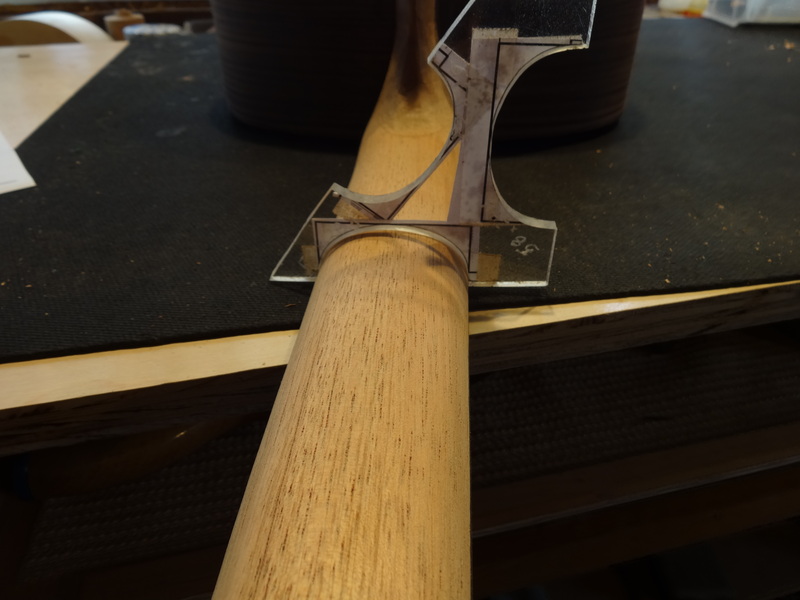 Once the template is created, it is used to contour the neck by checking the shape often during the carving process. Using care the result conforms to the design. 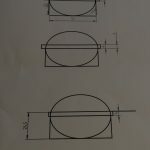 Here are some slides showing the design, the template, and the resulting neck shape. 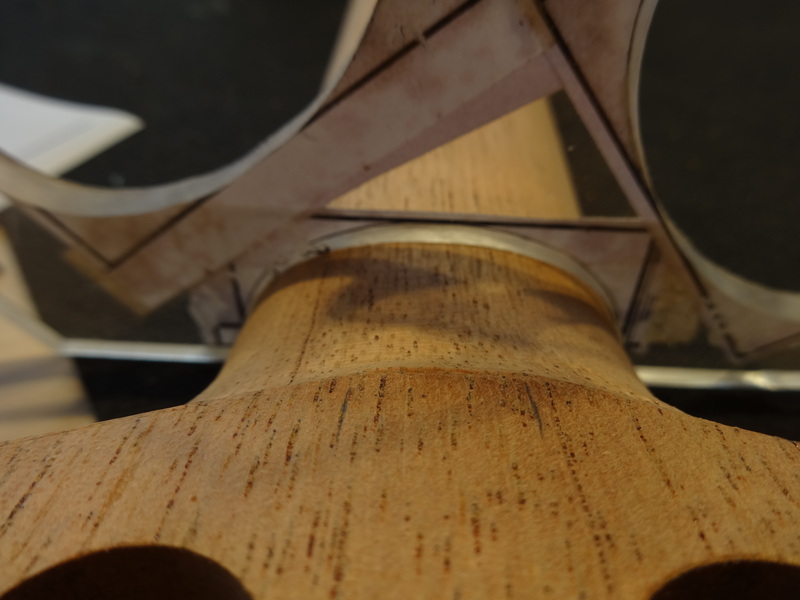 This entry was posted in workshop and tagged carve, contour, design, Neck, profile, template. Bookmark the permalink.